The Art of Living Alone – Writer. Editor. Storyteller. In the 1950s, less than a quarter of American adults were single. Today – that number is up to about half. But when we say “single” – we mean not part of a couple. A different – and slightly antique-sounding term – “singleton” means people who live by themselves. That number is up to some 31 million Americans. I weighed in on this trend a few weeks back in my Singleton post. But in that quick post I didn’t say anything about why I think living alone, at least for a little while, is important. Many people (women especially) go from their parents house to a place they share with their significant other. They never know true independence. It’s important to know that you can take care of yourself when you have to. And it’s even more important to know that being alone isn’t the worst thing that can happen to you. One of the best things about living alone is eating whatever the hell you want, whenever you want. If you want cereal for dinner, then eat cereal…because you’ve got no one to answer to. I hate having to live with other people’s mess, but I love not having to clean up after myself until I’m good and ready. Your bathrooms stay so much cleaner. Speaking of bathrooms, if it’s yellow, you can let it mellow without worrying about what the next person will think. Way to be green! Even if you don’t like doing it, walk around in your underwear…just because you can. Paint your space the colors you love, because when you live with someone they may not love your choice of eggplant and neon pink. Sprawl out in the bed. It’s all yours. Happy International Women’s Day from Connie Britton! I love this! Thank you. I’ve been married 30 years and was single for 35 before that………I still miss it sometimes even though I love my husband. Living single is cool. I live with 5 roommates. Enough said. u can watch tv all day without somebody turning on the vacuum or looking at you with those shouldn’t you be doing something eyes. If you are living alone… chances are it won’t be for very long. So your job is to enjoy this phase of your life and all its benefits because there are plenty of parents out there that wish if only for a day, they could come home to your paradise. Cute post! 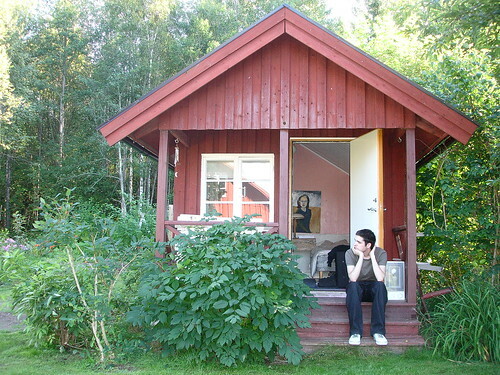 I want to have one of those teeny tiny little houses like in the photo. I’ve been single for just about 5 years now and for about half of that time, maybe more I have lived by myself. It is nice, and I do like it. Solitude is definitely part of my comfort zone and I find that being with people is what makes me nervous, because really it forces one to be vulnerable on many different levels. Throughout the last few years, I have made definite efforts to leave my comfort zone through sleeping in my car and since this time last year, I have steadily been sleeping at strangers houses (always safe people)… sometimes I really miss being on my own and all of the conveniences in provides… never having to answer to anyone or having to compromise personal space. However, I am finding that there are a lot of gems in building little communities with others, learning how others do this thing called life and allowing myself to be accepted as I really am. In my experience, both ways of living have tremendous rewards.